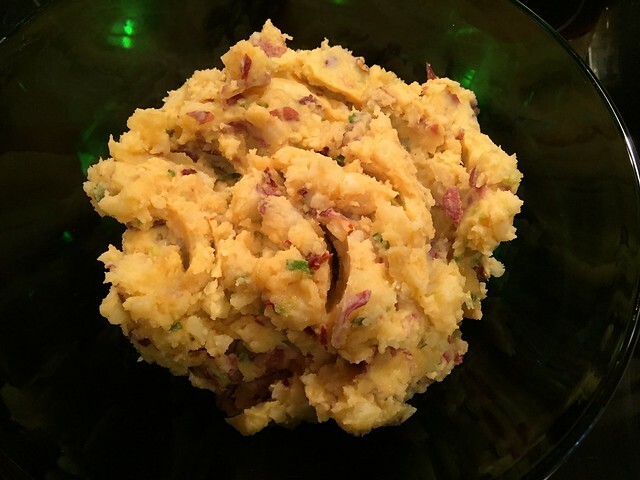 Cheesy Chipotle Mashed Potatoes is the companion recipe to yesterday’s Crockpot Shredded Chicken with Chipotles. But let me assure you that you might soon be making these potatoes to go with EVERYTHING! These potatoes are sooooo good. Nice big chunks of potatoes with just a smoky hint of chipotle for a little zip. If you didn’t advertise the chipotles, I’m betting that people would wonder what that wonderful, warm flavor was. 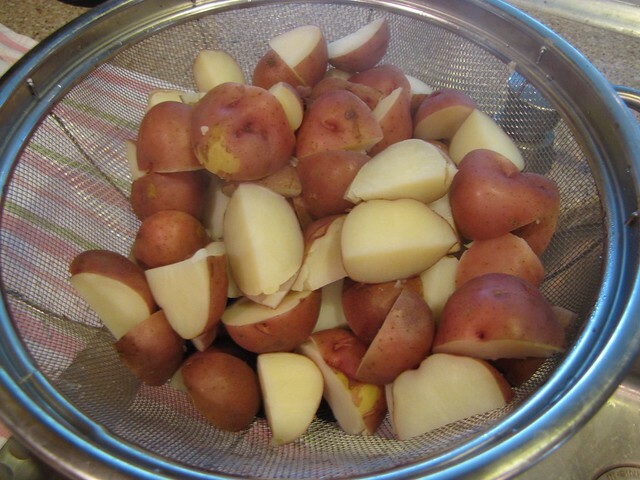 I have 3 pounds of small, red potatoes that I’ve rinsed and cut in quarters. 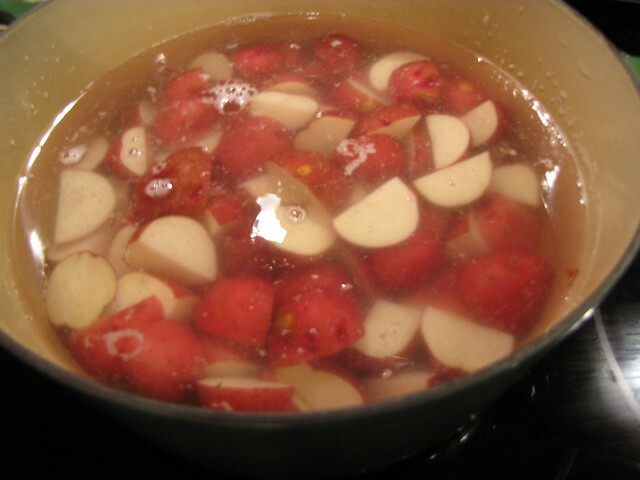 Place them in a large pot and fill with water to cover the potatoes by an inch. 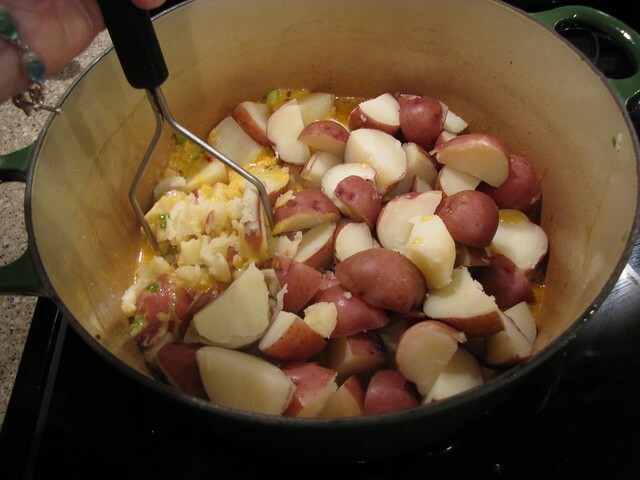 Bring the pot to a boil over high heat and cook until the potatoes are fork tender and soft, about 12-15 minutes. 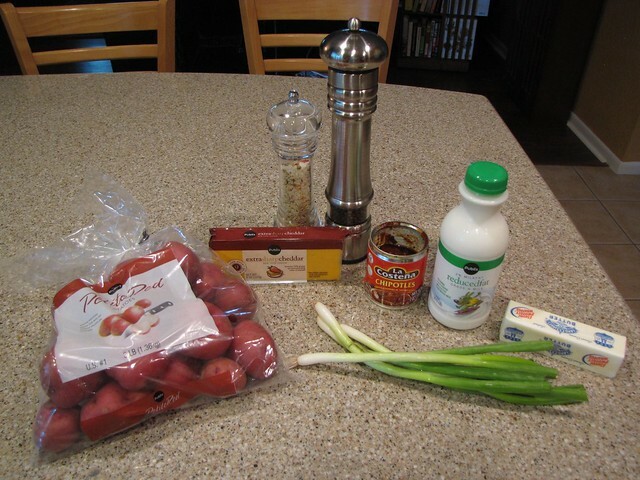 While the potatoes are cooking, finely chop 4 green onions or scallions. Remove 1 pepper from a can of chipotles in adobo sauce and finely chop. I tend to peek inside the pepper and if there are a ton of seeds, I scrape them out. 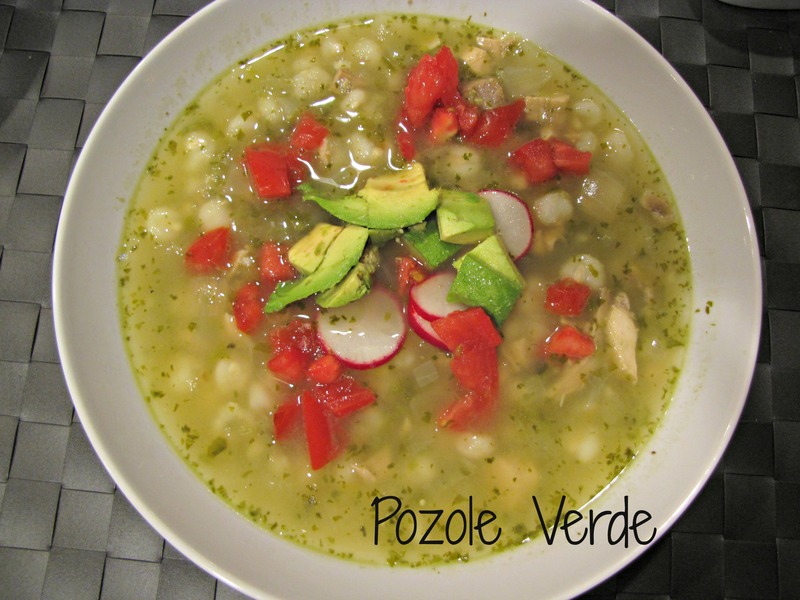 You can keep the unused chipotles in the fridge for a week or so and in the freezer for months. I just dump them in a little ziplock baggie and then I have them ready to go when I need a Cheesy Chipotle Mashed Potato fix. Which happens a lot. Once the potatoes are soft, drain them in a colander. 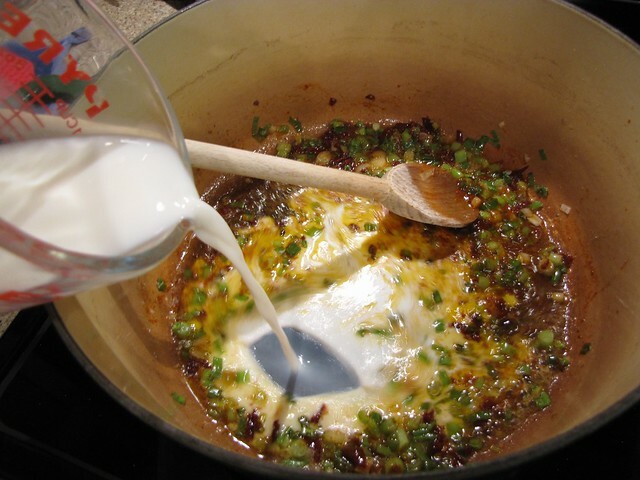 Melt 4 Tablespoons of butter in the same pan over medium heat. 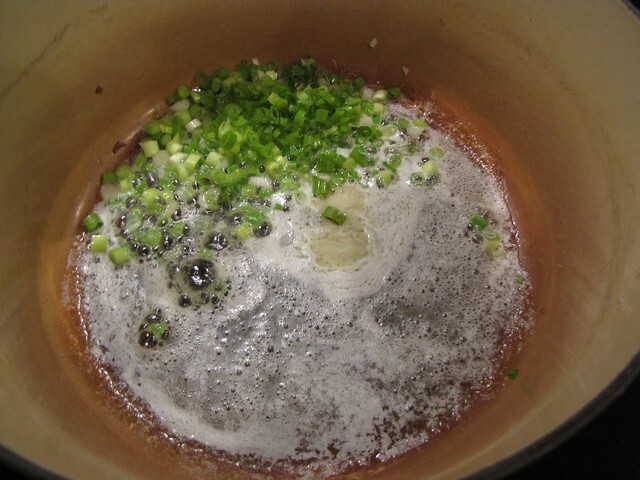 Add the chopped green onions and sauté until tender but not browned, only about 2 minutes. 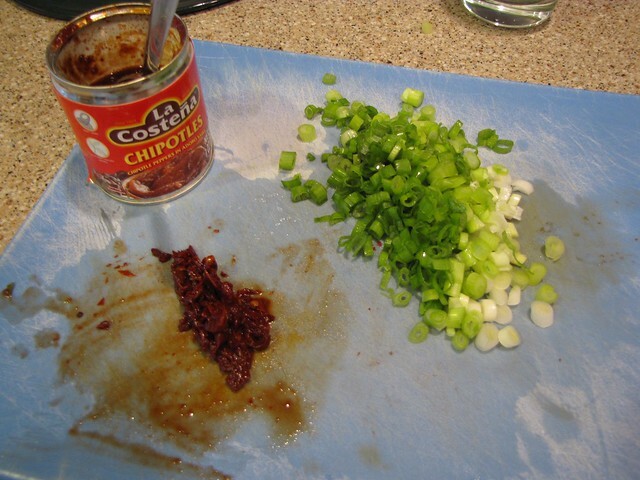 Add the chopped chipotles and 1 spoonful (about a Tablespoon) of the adobo sauce from the can. Stir in ½ cup of milk and 4 ounces of shredded sharp cheddar cheese. 4 ounces of cheese is about 1 cup. 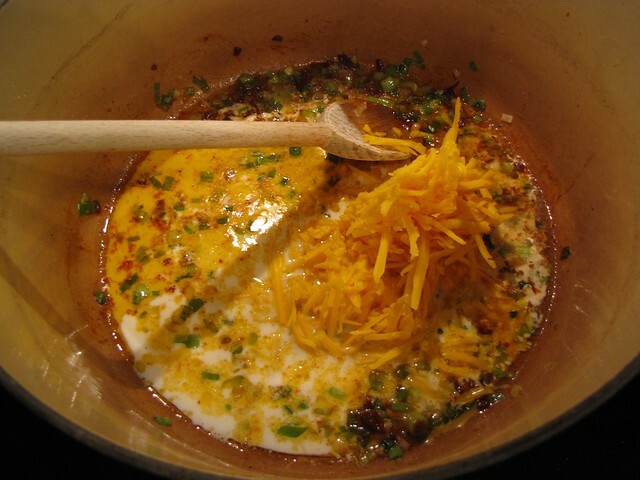 Stir to combine and to let the cheese soften then add the potatoes to the pot and start mashing. 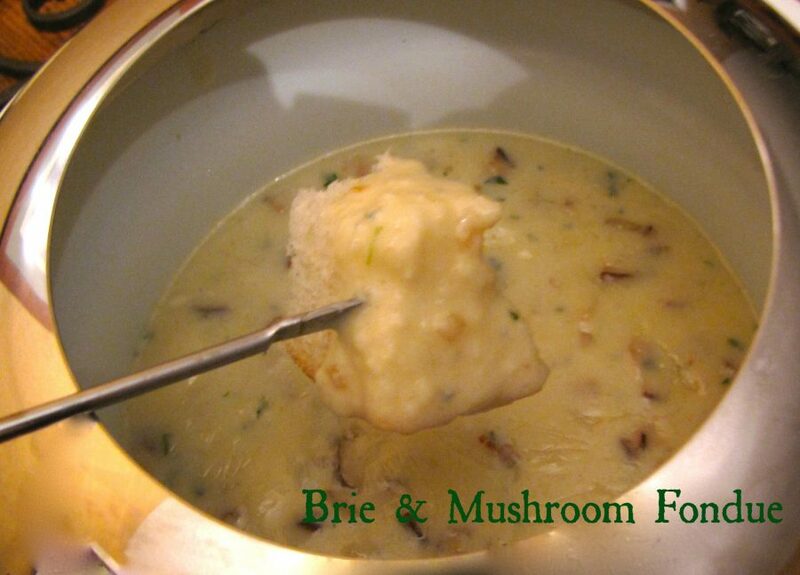 You can leave these as chunky or mash them as smooth as you like. Season to taste with salt & pepper and try not to eat all of the warm, cheesy potatoes right out of the pan. 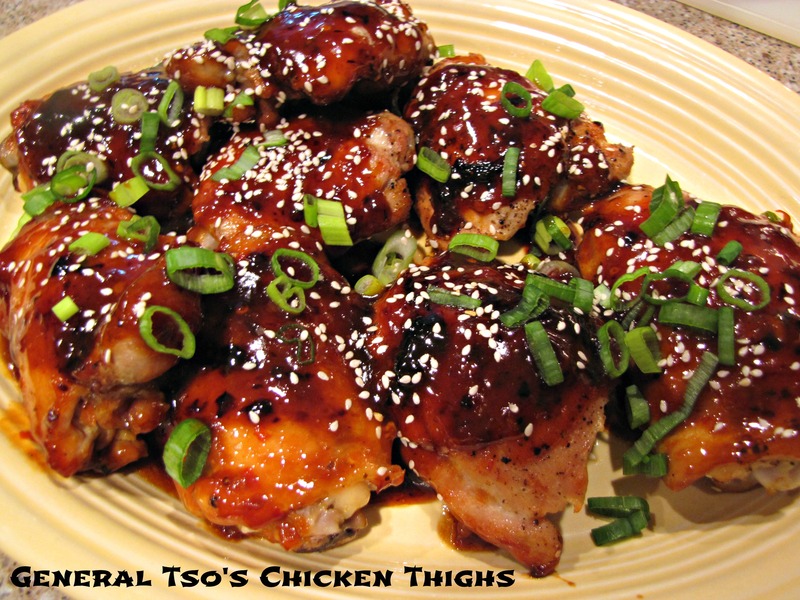 These were great with the Crockpot Shredded Chicken with Chipotles and I promise you it was not chipotle overload. 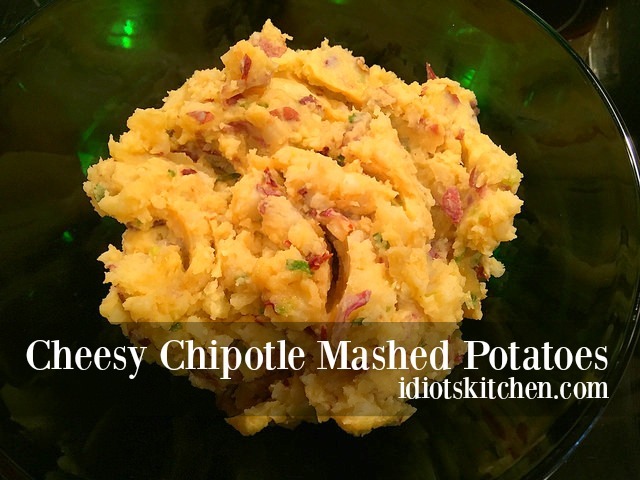 Cheesy Chipotle Mashed Potatoes will go with everything! BBQ ribs, anything on the grill, roast chicken…anytime you would serve regular mashed potatoes kick them up a big notch and add chipotles and cheese. 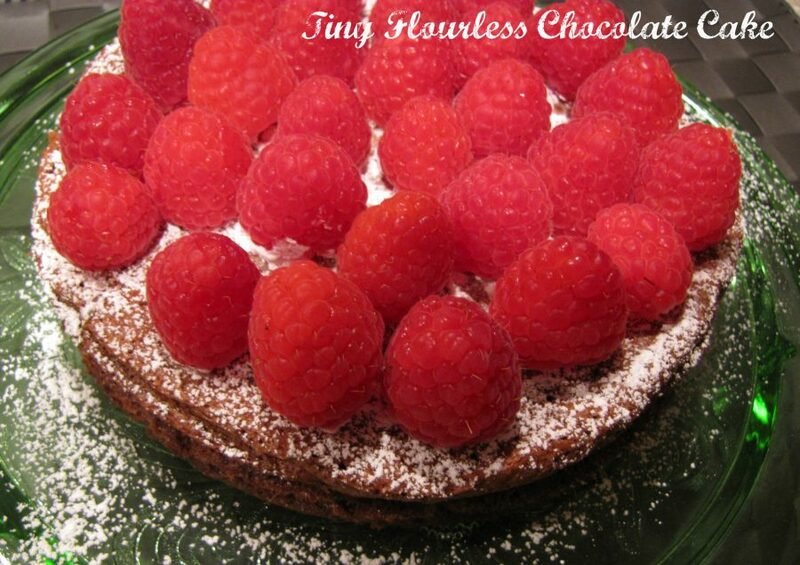 I ate the leftovers for breakfast! Oh, this went over quite well last night! Hooray! They’re pretty good and so easy. A nice change to zip things up a bit.